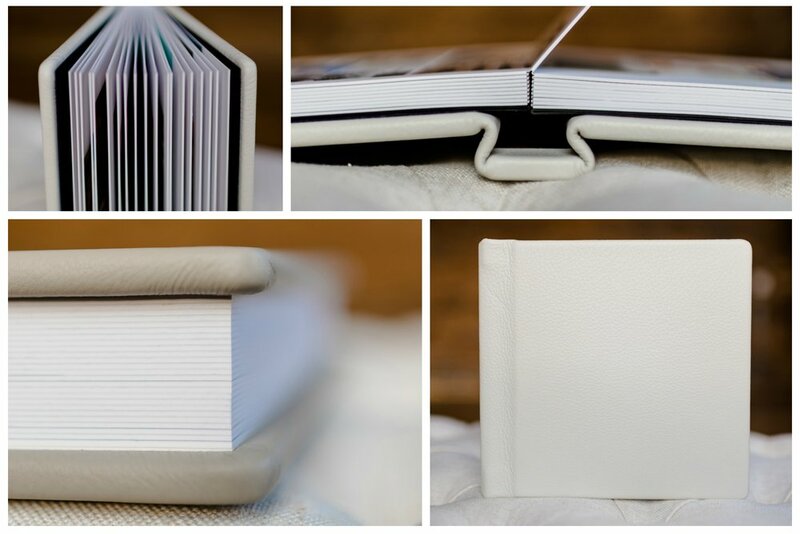 Handmade right here in the USA, we offer two different lines of beautiful, custom wedding photo albums: Our Luxe Heirloom Albums (genuine leather cover, thick-pages) and our Standard Albums (linen cover, thin-pages). 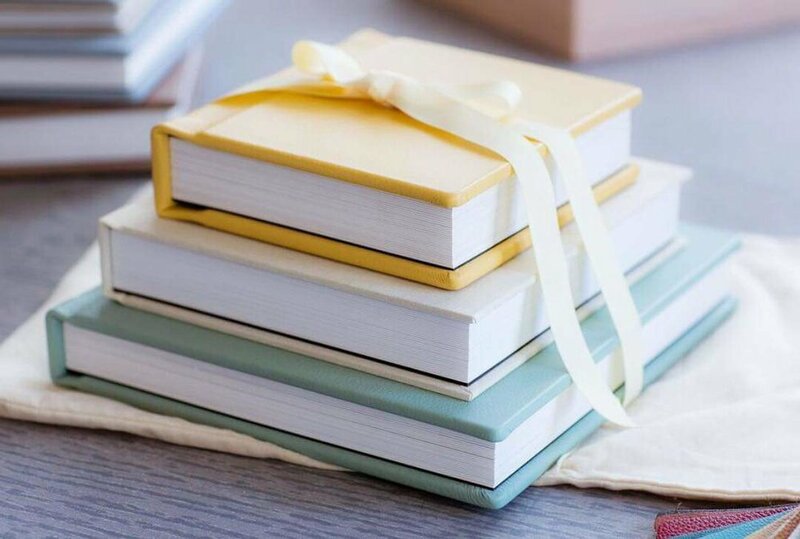 Both album options are offered in 4 different sizes: 8x8, 10x10 and 12x12 sizes... and our adorable 4x4 mini albums can added to any standard album purchase. 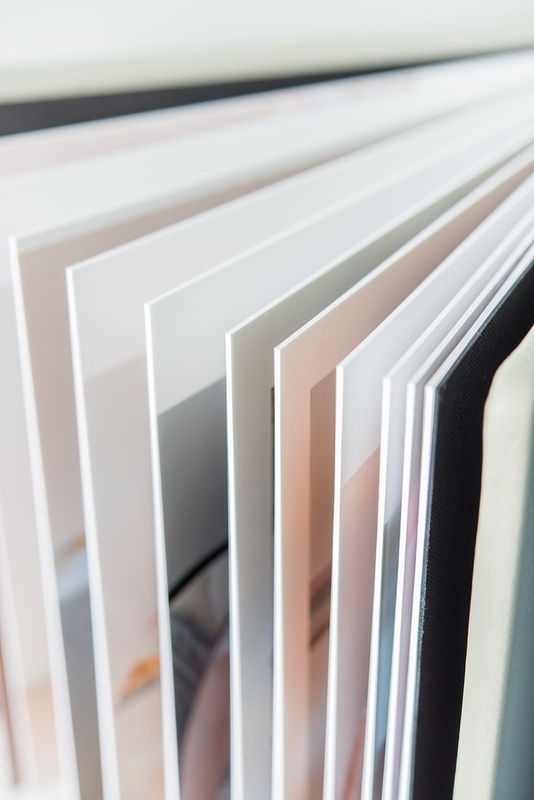 Our luxury Luxe Heirloom albums feature thick pages and a buttery smooth genuine Italian leather cover, with beautiful, fine art photographic printed images on Fuji Crystal Archival paper. We offer a standard Lustre Photo finish or an upgraded, velvety matte finish on Fuji Deep Matte paper. 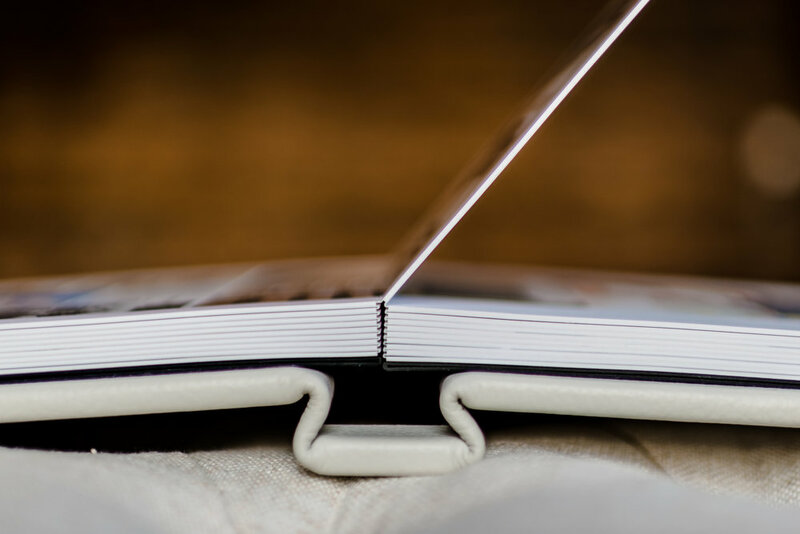 We also offer a Standard Albums option with thinner pages and a linen cover for a more economical option; these are also great for engagement guest books! Your heirloom is custom designed by our studio with your favorite images. We pre-design a custom storytelling-style album for every wedding client (so you don't have to try to narrow it down!) and we'll finalize the perfect design together. Once complete, you'll have a unique one-of-a-kind album you’ll enjoy for a lifetime and that will last for generations. Albums are available in sizes 12x12, 10x10 and 8x8. Also available with album purchase: our adorable 4x4 mini album! Please note, our heirloom albums are unique works of art that contain limited images per spread to provide a sleek and beautiful experience. Each full spread (consisting of a left page and a right page) may contain from 1-10 images, with most album designs containing 50-70 images, depending on the storytelling design. If you are interested in a separate proof book with thumbnails of all of your gallery images, please contact Laura for more information + current pricing. Every album we offer, from the 4" to the 12", is made using true, photographic printing on the finest Fuji Crystal Archival papers. Our standard offering is Fuji Crystal Lustre paper and we also offer Fuji Deep Matte paper as an upgrade option. 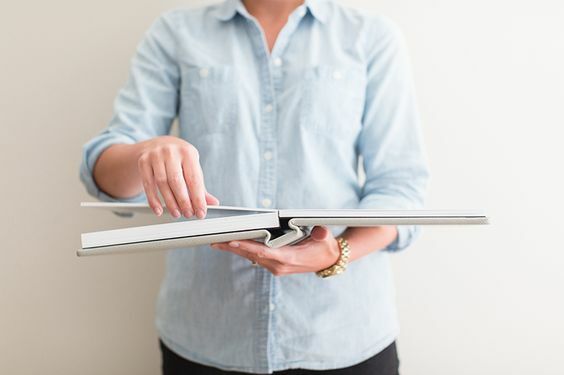 Our pages lay beautifully flat, so you don’t lose any of the image in an unsightly fold. 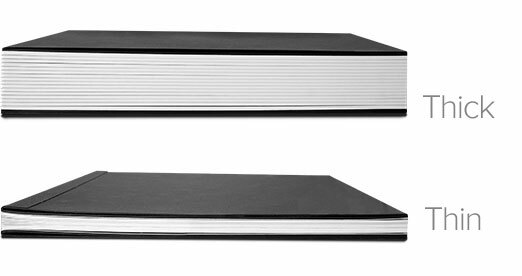 Each spread can be presented in all of its glory due to our modern, industry-leading binding and block-building processes. A beautiful layout shouldn’t be cut down the middle. All of our album spreads feature a unique micro-fold that preserves the full impact of your design without discoloration in the crease. Consider a complete collection of albums for you and your parents / family / friends. 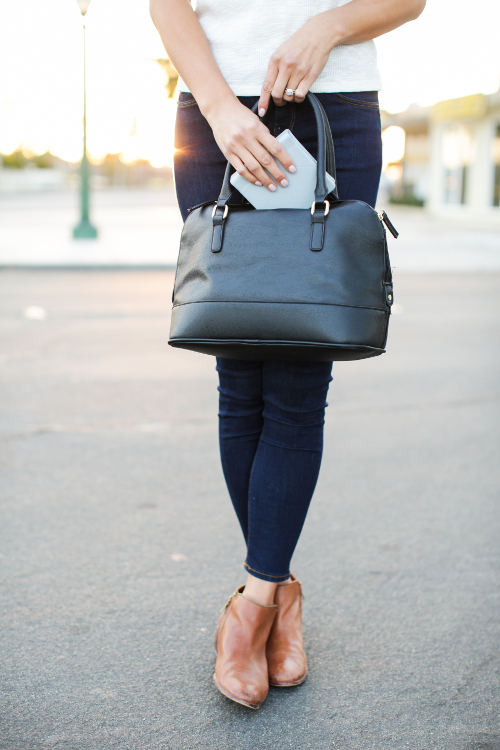 We use only 100% natural, Italian leathers selected for their grains, texture, strength, durability, and quality. 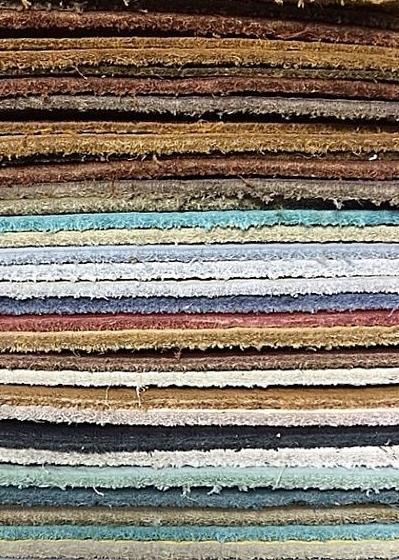 We have a line of distressed leathers, which enchant with their rugged, natural beauty; and a line of rich, simple colors that are sure to impress. 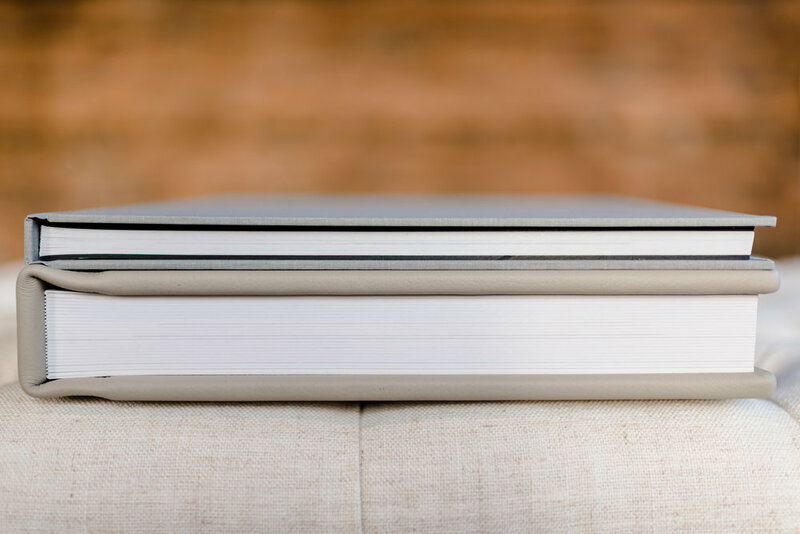 No matter which line you choose, your cover will be soft to the touch with the smell of luxury. 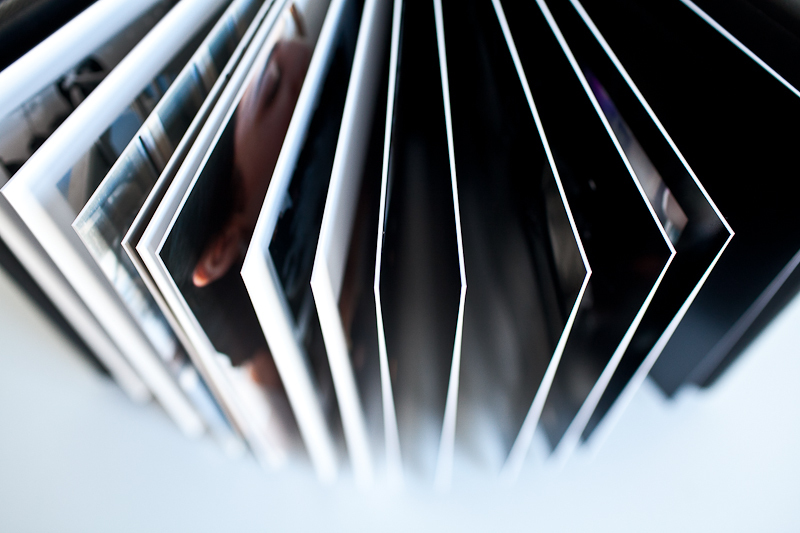 The layered weaves of the linens highlight the craftsmanship and beauty of our Photo Book albums. We offer an array of colors in both natural linens and Japanese silk linen. Let's Create a BEAUTIFUL HEIRLOOM Together! Simply give us a few details about what type of albums you're looking for, quantity, etc. and we'll be in touch shortly to begin the process! View some of our recent album designs - designed right here in our Delano, MN studio, and lovingly handcrafted right in the USA. We would LOVE to design a family heirloom for you! Here is an example of one of our recent clients' album design (this is one of our Standard Albums -- thiner pages / linen cover). Click on an album to see each design and use the arrows to navigate through the "spreads". Each image is a 2-page spread, as if you are looking at an open book.